Signiant has implemented intelligent tools to support the Interoperable Master Format. As media companies adopt the Interoperable Master Format (IMF) to manage the increasingly complex challenge of creating, managing, and distributing many versions of a media asset, Signiant said it is implementing intelligent solutions to support this new standard. At the IBC show in Amsterdam, Signiant will introduce a new “IMF Aware” interface and demonstrate best practices for cloud ingest portals. The company's Media Shuttle SaaS solution enables IMF workflows by providing fast, seamless global access to a shared pool of content. With more and more IMF assets being migrated into Media Shuttle portals, Signiant said customers are looking for help in minimizing some of the intrinsic challenges of working with IMF packages. Signiant’s new IMF Aware functionality being introduced at the IBC Show streamlines IMF workflows by simplifying the process of accessing the assets required for the creation of a specific version. Signiant said as cloud technology becomes mainstream in media, the highly customized ingest applications deployed by early adopters are increasingly being retired in favor of off-the-shelf, multi-tenant SaaS solutions. With a simple user interface, built-in acceleration, and metadata capture capabilities, Media Shuttle provides customers with a customizable out-of-the-box cloud ingest portal. With Media Shuttle, there’s no need to deploy or manage software in the cloud, run web servers, or design and maintain bespoke software—often resulting in dramatically lower total cost of ownership. 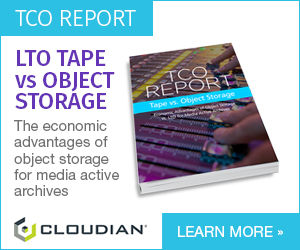 Combined with unique patented features such as CloudSpex for pre-transfer delivery spec compliance, these factors have contributed to the widespread move away from custom-built, single-tenant cloud ingest portals toward Media Shuttle.